From the last concept, I learned that physically testing would play a key role and should be implemented as quickly as possible. From here early rough sketch models would be used to test initial functionality. 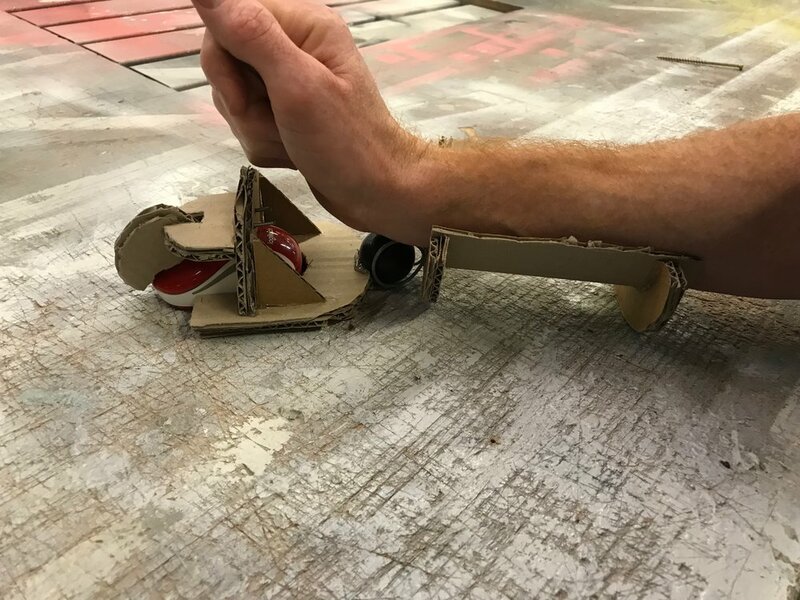 The Vacuum joint was not successful, but the ball joint showed to be a direction forward because it allowed sufficient articulation in the wrist and also provided a lever point for actuating the trigger point needed for clicking. The next sketch models proved to me that it did not meet the criteria I set and the idea could be shelved. The location of the axis, in this sketch model, didn't allow a natural movement of a users wrist. It was determined that the axis was needed to be central and not above or below the user's arm. Running alongside these concepts I focused my attention towards the click mechanisms and arm movements that could actuate them. The aim was for minimal effort and neutral arm position when not triggering a click action. 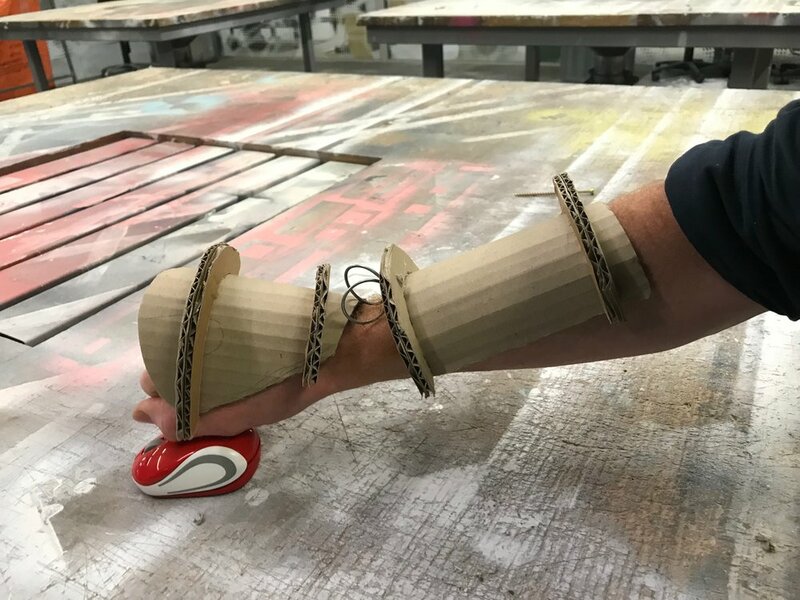 Existing system on the market such as Myoelectrics, that use senses connected to arm muscles and control servos located in the prosthetic where ruled out because of their expenses and the complexity. Looking back on my initial criteria, the design needed to be low cost and easy to assemble by a non-qualified individual. Existing wire pull mechanism were used because of proven reliability and because the target market was familiar with the system. Working out cable mechanisms and what functions they would perform.